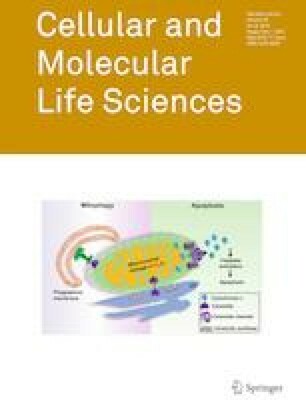 Enhancement of insulin-like growth factor 1 receptor (IGF-IR) degradation by heat shock protein 90 (HSP90) inhibitor is a potential antitumor therapeutic strategy. However, very little is known about how IGF-IR protein levels are degraded by HSP90 inhibitors in pancreatic cancer (PC). We found that the HSP90α inhibitor NVP-AUY922 (922) effectively downregulated and destabilized the IGF-1Rβ protein, substantially reduced the levels of downstream signaling molecules (p-AKT, AKT and p-ERK1/2), and resulted in growth inhibition and apoptosis in IGF-1Rβ-overexpressing PC cells. Preincubation with a proteasome or lysosome inhibitor (MG132, 3 MA or CQ) mainly led to IGF-1Rβ degradation via the lysosome degradation pathway, rather than the proteasome-dependent pathway, after PC cells were treated with 922 for 24 h. These results might be associated with the inhibition of pancreatic cellular chymotrypsin–peptidase activity by 922 for 24 h. Interestingly, 922 induced autophagic flux by increasing LC3II expression and puncta formation. However, knockdown of the crucial autophagy component AGT5 and the chemical inhibitor 3 MA-blocked 922-induced autophagy did not abrogate 922-triggered IGF-1Rβ degradation. Furthermore, 922 could enhance chaperone-mediated autophagy (CMA) activity and promote the association between HSP/HSC70 and IGF-1Rβ or LAMP2A in coimmunoprecipitation and immunofluorescence analyses. Silencing of LAMP2A to inhibit CMA activity reversed 922-induced IGF-1Rβ degradation, suggesting that IGF-1Rβ degradation by 922 was partially dependent on the CMA pathway rather than macroautophagy. This finding is mirrored by the identification of the KFERQ-like motif in IGF-1Rβ. These observations support the potential application of 922 for IGF-1Rβ-overexpressing PC therapy and first identify the role of the CMA pathway in IGF-1Rβ degradation by an HSP90 inhibitor. The online version of this article ( https://doi.org/10.1007/s00018-019-03080-x) contains supplementary material, which is available to authorized users. Nina Xue and Fangfang Lai contributed equally to this work. This project was supported by the National Natural Science Foundation of China (81573466). We thank Ms. Long Long for her assistance in the high content analysis experiments using an InCell Analyzer 1000.